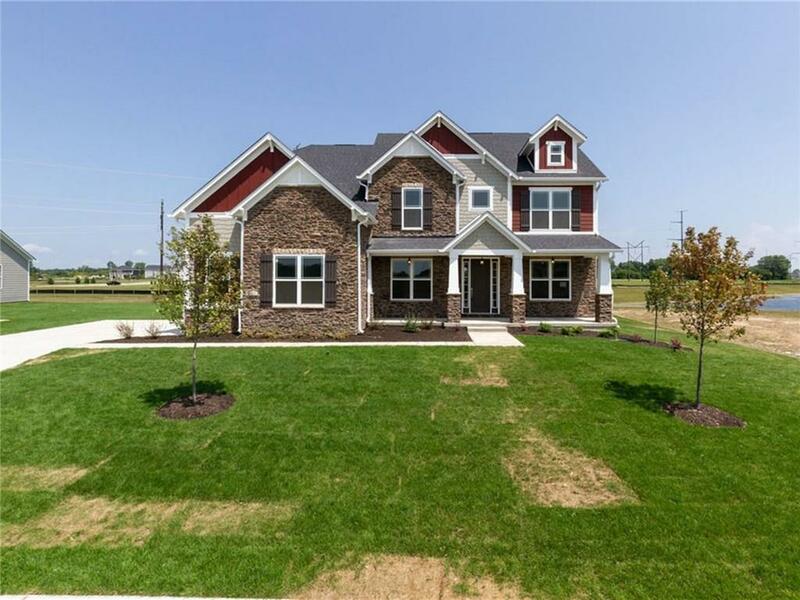 This stunning Tarkington plan has a lot to love! Located on a spacious home site near the amenity center, this single family home features an in-law suite on main floor, finished basement for additional living & entertaining space, and a finished 3 car carriage garage. Enjoy gatherings in the gourmet kitchen with quartz countertops, beautiful backsplash, SS french door refrigerator, walk in pantry, butler's pantry open to breakfast area and a 2 story great room with a gas fireplace. The main level private study and dining room features hardwood floors. Upstairs you will find a spacious master bed and spa like bath with walk in closet. Come check out this amazing floor plan today! Zionsville school district!